Hands down this week's wardrobe wonder has been one of my best purchases ever. The grey coat. Alexa looks so cool in hers......I shall be stealing her style! 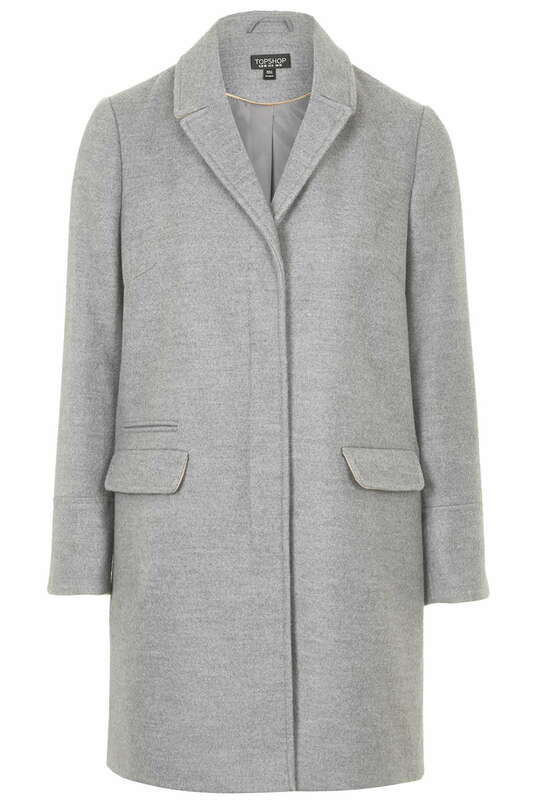 My Topshop grey coat is now in it's second A/W season and it's still going strong. I have proclaimed my love for it on many occasions. It's always gets a lot of likes when I post it on Instagram. It's easily one of the most versatile things I own and in the spirit of shopping my wardrobe I'd thought I'd feature it again. It was a steal at £59 and the beauty of it is that it will be perfect in the coming months taking me nicely into Spring. Topshop still do a very similar version, the fastening is different but the shape looks exactly the same. 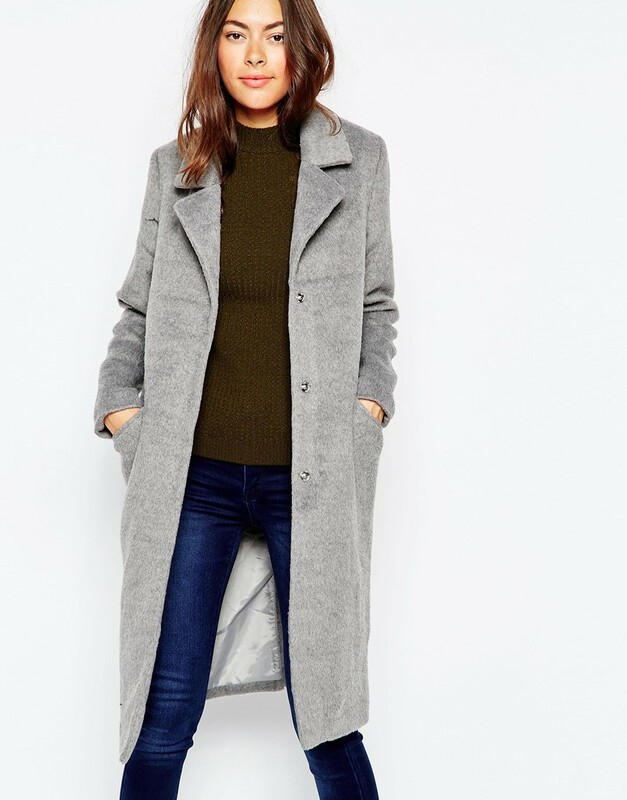 I've searched a few other options on the grey coat front, I featured this lovely Mango one, in one of my sale edits a few weeks back and if I didn't have the Topshop one I would be seriously tempted by this one! This Brave Soul coat is a bargain, most sizes still available too! Another Brave Soul from ASOS, this double breasted one is also lovely. And finally one from Pull & Bear. Here are just a few of the ways I've worn mine! Starting with this from last week. I'm hoping to re-create some more looks like this one for Spring as I really loved wearing this ensemble. Lastly, how I wore it today with many layers underneath to try and keep the freezing weather at bay! A couple of other outfits from this week. 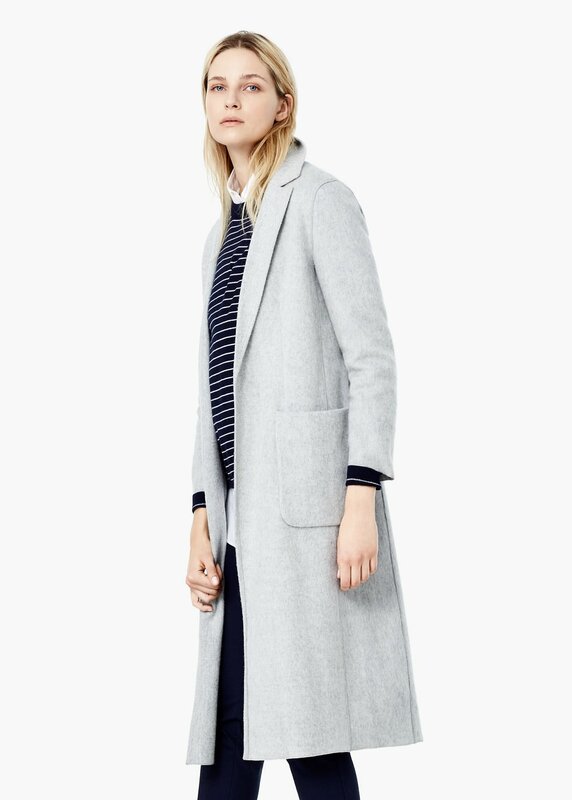 Do you have a grey coat in your wardrobe arsenal? What's your favourite style/colour coat been this season. Is there one that you always revert too? I would love to hear your thoughts! Yup a fab purchase Michelle, grey is such a versatile colour isn't it?! I've bought this too on your recommendation! I got the tall one even though I'm not tall as the sleeves were too short on the regular and the leg length I prefer on the tall too. It seems to be very big fitting. I got an 8 even though I'm a 10 but the 10 looked stupidly big! What size is yours out of curiosity? Love it on you.